While I do not necessarily agree with Bonnie Zucker that there is not anything for the under four crowd about introducing the subject of death, I do admit that I am hard-pressed to mention anything other than Something Very Sad Happened: A Toddler’s Guide to Understanding Death. It is an accessible way to introduce the child to the loss of a loved one. Due to the way it is presented, you can adapt the book to your needs. This is done by highlighted words that are clues to where you can say whichever person you need (Grandma/Grandpa/Daddy/Uncle Fred) has died, and (Mommy/Daddy) is sad, and so forth. In this manner, you could even adapt it to a pet. The text is very basic and allows an older child to read it, with some assistance (depending on the age of the child/level of reading). However, since the book was written for Zucker’s son about her own mothers’ death, the text reflects wording that explains Grandma passing, that Mommy is sad, and a boy is the person spoken to by the narrator. The art of Kim Fleming is child-friendly as is the text. The parental guide in the back has helpful tips (granted, I only scanned this section). Overall, the tone of the text is not pushy or “in your face” yet does have a modern feel to it. 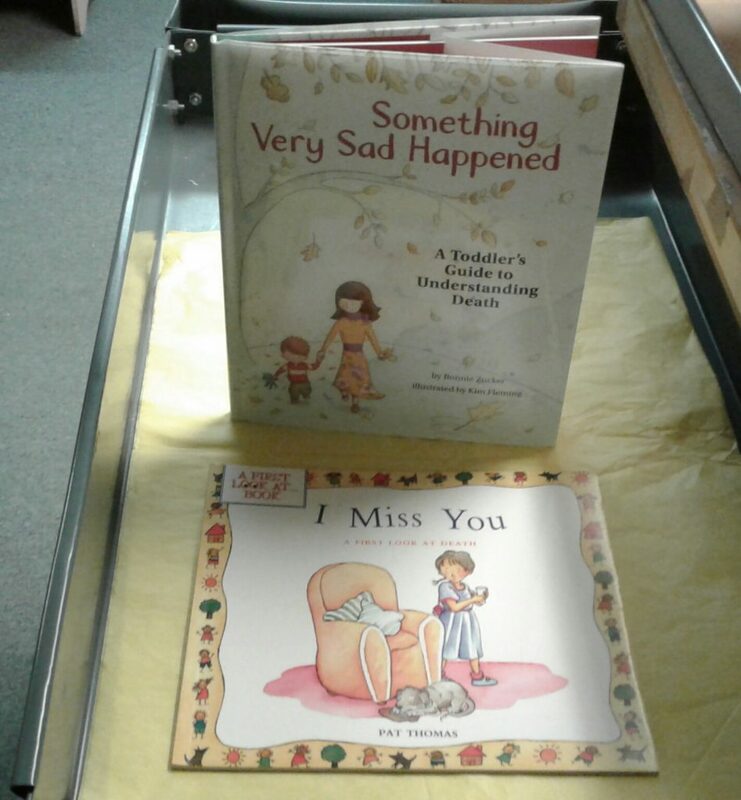 And it contrasts with another book, I Miss You: a First Look at Death (First Look at Books) by Pat Thomas While I was not loving this book as I was reading it, it is a nice introduction to the theme of the death of a loved one for the older ages 4 to 6. Yet, I could see it being adapted for a younger audience. While Something Very Sad Happened has a more story tone, I Miss You has more of a straight-forward non-fiction approach. The artwork of Leslie Harker is more detailed and more traditional look at how people look, act, dress and feel towards the loss of a loved one. There are stopping points within the text where you the parent can ask the child questions about how they feel; do they have someone to trust and so forth. This does make it a tad bit more of a professionally aimed book but can be used with the parent/adult and child one-on-one. Share the post "Dearly beloved"